Well, watch where you walk! I'm so sick of these tics! All my life I've suffered because of them. 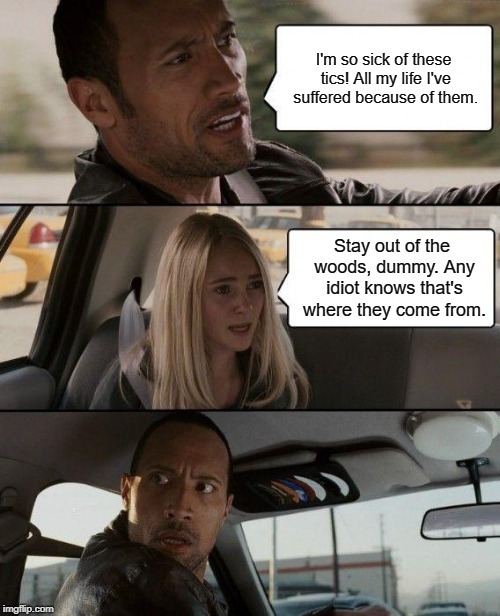 Stay out of the woods, dummy. Any idiot knows that's where they come from.